CONNECT Summit County and the Park City Film Series will present a special screening of “Andy Irons: Kissed by God,” a documentary by Steve and Todd Jones of Teton Gravity Research, at 7:30 p.m. on Thursday, July 26, at the Park City Library’s Jim Santy Auditorium. The film is about Irons, a three-time World Surf League champion, who had bipolar disorder. CONNECT Summit County and the Park City Film Series will present a special screening of the documentary “Andy Irons: Kissed by God, not rated, at 7:30 p.m. on Thursday, July 26, at the Park City Library’s Jim Santy Auditorium, 1255 Park Ave. Tickets are $15. For information, visit http://www.parkcityfilmseries.com and connectsummitcounty.org/event/kissed-by-god. The surfing world was shocked in 2010 when three-time World Surf League champion Andy Irons was found dead in a hotel in Grapevine, Texas. A coroner initially reported Irons died of cardiac arrest. The official autopsy said Irons succumbed to an overdose of mixed drugs. What many people didn't know was Irons lived with bipolar disorder, said Shauna Wiest, executive director for CONNECT Summit County, a nonprofit that raises awareness of mental health issues. "My understanding was he didn't seek help for his mental illness, which led to his death, because he started self-medicating with opiates instead," Wiest said. "He was 32 when he died and he left behind his wife, who was seven months pregnant." Irons' story is told in "Andy Irons: Kissed by God," a documentary by Steve and Todd Jones of Teton Gravity Research, an action sports media company. The Park City Film Series is partnering with CONNECT Summit County to screen the film at 7:30 p.m. on Thursday, July 26, at the Park City Library's Jim Santy Auditorium. Tickets are $15. 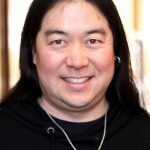 CONNECT usually doesn't do programming during the summer, but Katy Wang, the Park City Film Series executive director, contacted Wiest and told her about the film. "It's about the championship surfer who won every major surfing contest around the world," Wiest said. "The catch was he was wrestling with bipolar disorder." Irons' story is a cautionary one, according to Wiest. "It's about what can happen when you don't get help for mental illness," she said. "If you wait to get help, the outcomes are usually not good. "Andy's family wanted to do this film to create awareness around mental health," Wiest said. "They wanted to make sure if people needed treatment, this film would lessen the stigma about having a mental illness by telling Andy's story." One reason people who have a mental illness don't get the help they need is because they aren't familiar with the resources that are available to them, Wiest said. "This is why they start self-medicating," she said. To help remedy that problem, representatives from CONNECT Summit County will give a short presentation before the screening. "We will talk about the resources for mental health that are available in this community," Wiest said. "CONNECT is launching a brand new mental health resource database at the end of the summer, and we have collected all the information about all the providers – doctors, therapists, counselors – who are in Summit County." All of this information will be available to the audience next Thursday. "We will answer any questions people will ask that night, and we will also have brochures about bipolar disorder on hand," Wiest said. Wiest hopes the event will help normalize the conversation surrounding mental health so people can seek help for themselves or for their loved ones. "We don't want people to feel embarrassed about whether or not they or their family members have mental illnesses," she said. Wiest thanks Wang for bringing the documentary to her attention. "If she hadn't called me, we wouldn't have a summer event," Wiest said. "What's also great is that this film is about an extreme sport, something we in Summit County know a lot about." Wiest also thanked Trent Hickman, founder of Park City Stand Up Paddleboarding (SUP) for underwriting the event. "We really appreciate him for helping us bring this film to us," she said. "Anyone who has struggled with mental illness or know someone who has struggled with mental illness will get something from this film."